When creating a Virtual Machine, you can select to use either virtual hard disks or physical disks that are directly attached to a virtual machine. 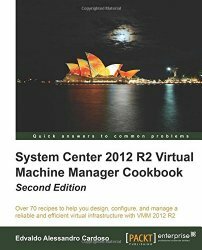 My personal advise and what I have seen from Microsoft folks is to always use FIXED DISK for production environment, even with the release of Windows Server 2008 R2, which one of the enhancements was the improved performance of dynamic VHD files. If you use pass-through disks you lose all of the benefits of VHD files such as portability, snap-shotting and thin provisioning. Considering these trade-offs, using pass-through disks should really only be considered if you require a disk that is greater than 2 TB in size or if your application is I/O bound and you really could benefit from another .1 ms shaved off your average response time. Simplest storage path because file system on host is not involved. Disk is being used exclusively and directly by a single virtual machine. 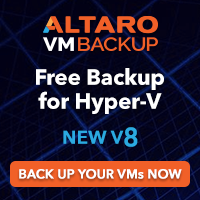 Pass-through disks cannot be backed up by the Hyper-V VSS writer and any backup program that uses the Hyper-V VSS writer. Highest performance of all VHD types. Simplest VHD file format to give the best I/O alignment. More robust than dynamic or differencing VHD due to the lack of block allocation tables (i.e. redirection layer). File-based storage container has more management advantages than pass-through disk. Expanding is available to increase the capacity of VHD. Up front space allocation may increase the storage cost when large of number fixed VHD are deployed. Large fixed VHD Creation is time-consuming. Shrinking the virtual capacity (i.e. reducing the virtual size) is not possible. Grow dynamically to save disk space and provide efficient storage usage. Smaller VHD file size makes it more nimble in terms of transporting across the network. Blocks of full zeros will not get allocated and thus save the space under certain circumstances. Interleaving of meta-data and data blocks may cause I/O alignment issues. 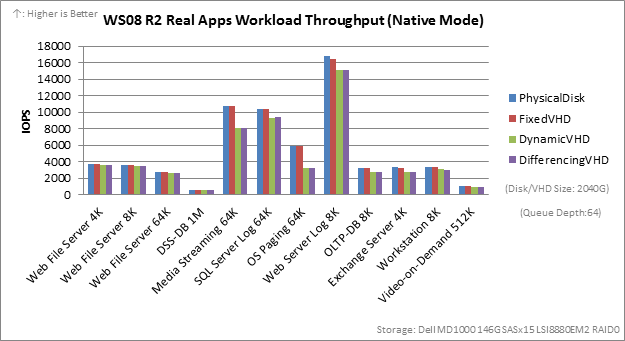 Write performance may suffer during VHD expanding. May get VM paused or VHD yanked out if disk space is running out due to the dynamic growth. Shrinking the virtual capacity is not supported. Expanding is not available for differencing VHDs due to the inherent size limitation of parent disk. Defrag is not recommended due to inherent re-directional layer. Thank you very much. This article helped on fixed sizing. I was concerned that a large fixed disk will be a long restore too. I’m thinking of having a standby clone updated on a regular restore routine. What are your thoughts. “standby clone updated on a regular restore routine”. I would not recommend this approach. Instead, you can use SCDPM or other backup software to backup the vhd and if a restore is needed then you can use the granular restore. One more concern. Snapshots are not recommended for production servers according to the help on 08R2 in Hyper-V.
Has this changed in 08R2 SP1 – and the help comments are not adjusted or what? But the dangerous/impact of using Snapshots is that the available space may run out on the physical disk that stores the snapshot files. If this occurs, no additional disk operations can be performed on the physical storage. Any virtual machine that relies on the physical storage could be affected. Microsoft is back for another Springboard Series Tour! Virtualization Certification Promotion : Free TechNet Subscription.